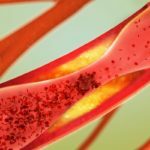 (HealthDay News) — Many basic scientists and clinical researchers support somatic genome editing in adults for prevention of serious disease but not for human enhancement; they also believe the public should be consulted before any clinical application of germline gene editing proceeds, according to survey results published online in Circulation: Cardiovascular Genetics. Kiran Musunuru, MD, PhD, MPH, from the University of Pennsylvania in Philadelphia, and colleagues surveyed about 300 attendees at an American Heart Association conference to examine their opinions on somatic and germline gene editing (GGE). Most of the respondents were basic scientists (74%) or clinical researchers (12%), with few clinical practitioners (6%). The researchers found that 80% of respondents supported somatic genome editing in adults to prevent serious diseases. Sixty-nine percent would opt to receive a safe, one-shot genome-editing therapy that would permanently reduce coronary heart disease risk. However, 83% were opposed to use of somatic genome editing to acquire desired traits. With respect to human GGE, 68% supported in vitro research that would not culminate in pregnancy, and most supported public funding of such research. Sixty-one percent supported use of GGE by parents if there were no other means to have a healthy biological child; opinions were evenly split about the acceptability of using GGE for reducing the risk of a child having a serious medical condition. Seventy-two percent opposed GGE if the general public was not asked for their opinions of the issue. “The results were revealing and highlight the need to broadly engage the public and solicit the opinions of various constituencies before proceeding with clinical germline genome editing,” the authors write.